Hey guys, first mod release so any smudges on the paintwork are purely due to inexperience. 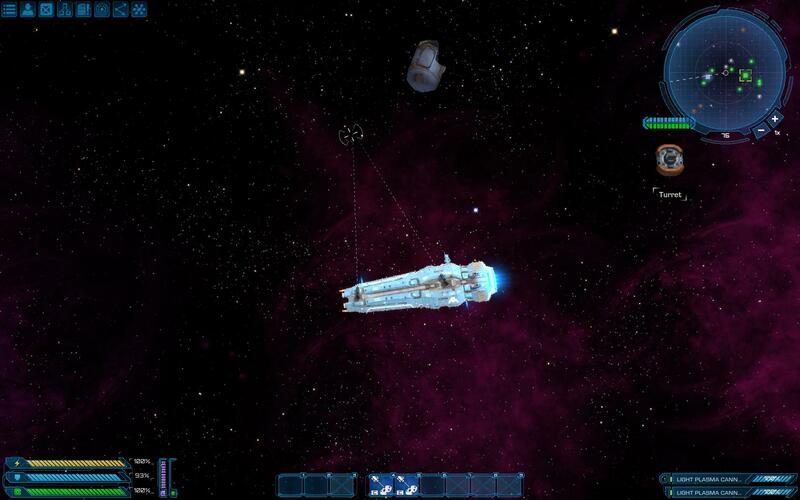 So who loves Homeworld 2? I do, so I decided to start creating mods that add Hiigaran ships to the game. For my first mod, so I can get a sense of the max scale limitation, I've decided to create the Hiigaran battlecruiser. 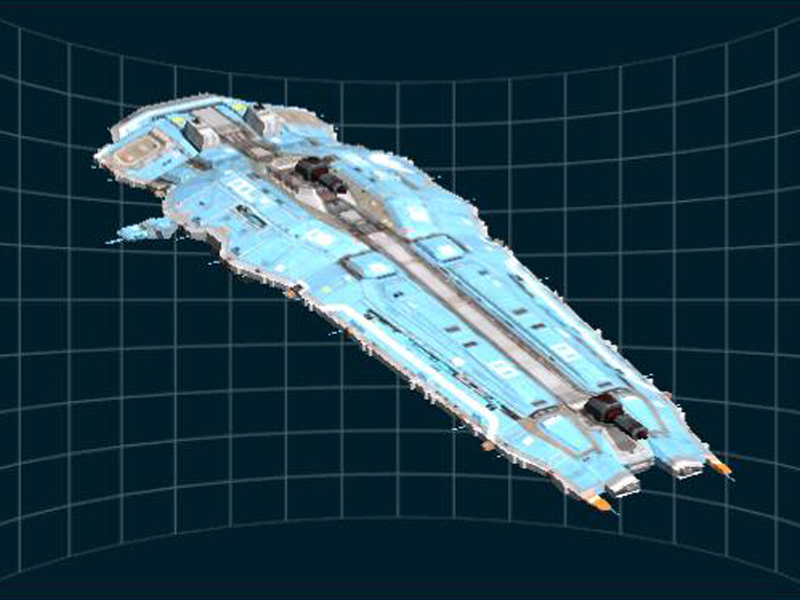 Description: Adds the Hiigaran BattleCruiser from homeworld 2 to the game. both mounted on the underside, facing to port and starboard respectively. P.S: More Homeworld 2 ships are in the works. no definitive ETA on that. Nice work, I've always been a fan of the ship design in homeworld, I think they look great. Very nice work on that modeling. Might want to watch the -90% maneuver, though, as it can make ships practically unusable at times. 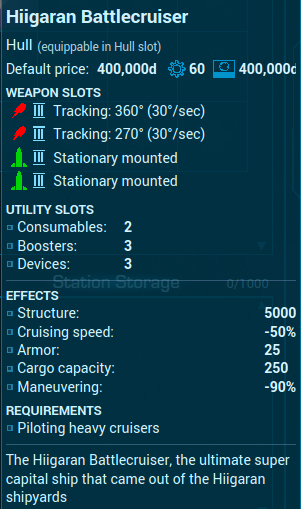 I found slightly better to tweak with ship mass values instead, personally. Thank you though I cannot take the full credit for the models. While I have some skill in modeling, I have no skill at texturing. The models and textures actually comes from the original Homeworld 2 that was released in 2003, so the full credit for them goes the Relic Entertainment. I just did the conversion to make the them usable in Voidexpanse. reason for that is that its easier and way faster to just do a conversion then me modeling the ships from scratch. I'll have a play around with the mass and post an update if I find a balance I like. yeah i broke my ships with -90% maneuverability. most of my ships at the moment are set at -60% max, except a shuttle. The mass variable might be better if u want sluggish turning speed. How did u figure out where to position the guns ? The other thing is the cost. Most people won't be able to afford it naturally without using the money cheat. Otherwise it'll be hours of mining asteroids. I think i'll be investigating loot drops for the next mod. There is a tool for that on our wiki. Same for engine trails positions and RCS. I cant get said tool to work. posted about it in another thread. what I just do is add a mesh shape in blender like a flat ring and use that to get the local positions from the model. Can you give me a link to that thread? Or possibly explain here what is the issue. If it's something we can fix - just let us know! its just when I click open model that nothing happens. Yeah, there are actually a ton of options you have when it comes to working out the maneuver characteristics: mass, maneuver, top speed, strafe speed, ect. Strafe speed is a fun one as well, and might be useful for you when you get around to the gunship; that's how I actually did mine, making them behave much like helicopters do in real life with limited speed (at least compared to fixed-wing craft) but exceptional turn and strafe abilities and fairly fixed forward gun arcs. It makes for a fairly fun alternate playstyle, or at least it has for me, and synchs nicely with the mouse-turn mode instead of mouse-aim mode. That reminds me, too, I've always kinda wanted to do the reverse and make a ship that was effectively unable to strafe as a balance mechanism. Some ships from various canons don't look like they ought to be able to. Update; So I've been working on the Pulsar Gunship. Working a little photoshop magic, that's the earlier released Battlecruiser besides the Gunship and a Station turret for scale. 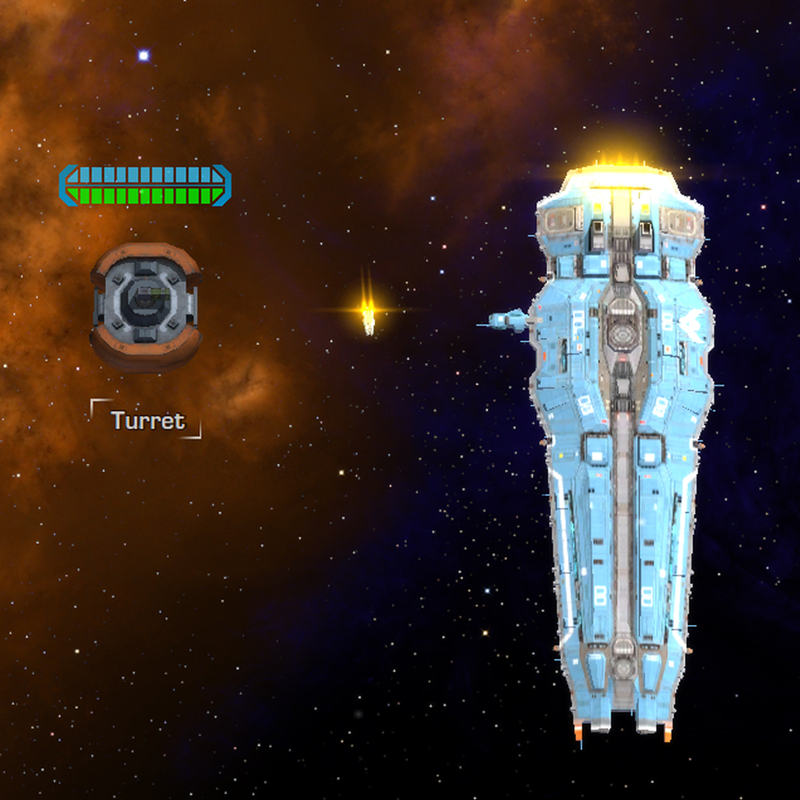 from the Homeworld 2 Universe the size difference between the Gunship and the Battlecruiser is correct. however, the gunship is so small now that you can barely see it. only time you'd see it really is when you are changing your ships equipment. so I need suggestions, scale it up to where its more visible but still smaller then the planned Ion Cannon Frigate or leave it as is. in the meantime while I wait for people to voice their opinions, I'll get started on the Ion Cannon Frigate. I know what you mean, the ships from homeworld 2 don't have thrusters anywhere but at the rear, yet they can reverse and turn without any indication of RCS being present. But then Physics between Canons aren't supposed to match. unless the canon subscribers to legit 'Newtonian physics.'. VE at least gives the appearance that it does with the engine trails, but it isn't full Newtonian Physics as the game acts like there is drag in space. True Newtonian physics would dictate that once I am at the speed I desire, and cut my engines, I will maintain that speed unless I fire my engines again or something large enough hits my ship to disrupt my direction of travel. In actuality, I am just adapting the ships of homeworld 2 to fit in with VE, there for the Reverse and sidewards thrusters engine trains being added by me. If it was actually possible to have 6 weapons on your ship without causing UI issues, I would have included to two bottom turrets that are supposed to be on the center-line of the ship. can you reupload it to the workshop please?